1. The History of Frenchay Hospital . 1994. ISBN 0 9524902 0 X. Book. The story of the place where I worked for 28 years. 115 pages and many illustrations - several of which come from US sources and from veterans who were stationed there in WW2. The history of the land goes back to the 1700s and the hospital to 1921. Copies are in the British Library and Bristol Central Reference Library. The printed version sold out in 2001, but was republished by the Frenchay Village Museum in 2004 and again in 2008 and 2011. Those wishing to read the on line version can click on the link below; alternatively, the Brief History gives an outline. 2. The History of the Land Associated with part of Stoke Lane, Bristol BS9. Research paper. Click here. This goes back to the 1820s and includes Ordnance Survey maps and text. Document deposited in Bristol Records Office. 3. The History of the Land Associated with the University Sports Field, Coombe Lane, Bristol BS9. Research paper. Click here. This goes back to the 1840s and includes Ordnance Survey maps and text. Document deposited in Bristol Records Office. 4. 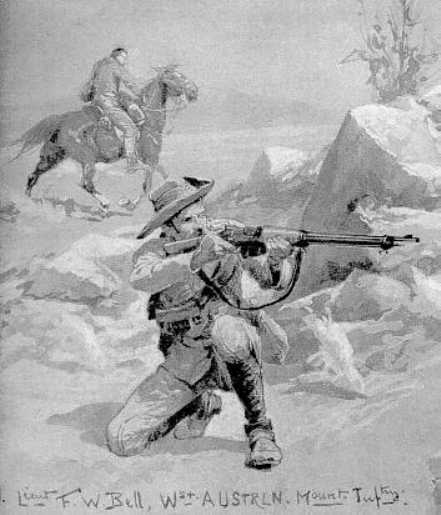 The Search for Lt Col FW Bell VC. Click here Booklet. An account of 15 months fascinating research as to why the first W Australian to gain the VC is buried in a local Bristol cemetery. Reveals the story of his life and takes his family history back to England in the 1600s. Booklet and related research documents deposited in the Empire and Commonwealth Museum, Temple Meads, Bristol. His grave can be seen on Iain Stewart's web site, under the Avon section. His medals are on permanent display in the W Australian Museum in Perth. 5. Concorde in and over Bristol. 1986-2003 Some personally taken photos and a brief history of the plane's production. Click here. 6. The History of Cossham Medical Society. Based on a PowerPoint presentation given to the Society in October 2006. Click here.